Favorite book of Pope St. Pius X. Says that prayer is the soul of every apostolic work; without it there is no success. Explores all the proved methods of developing and maintaining the interior life amid the bustle of daily activity. Dom Chartraud demonstrates that the very foundation of all apostolic work must be the Interior Life. 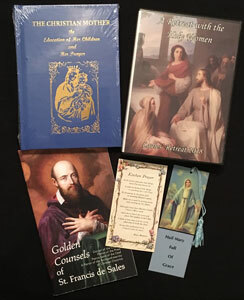 The apostle of Christ will grow to become an instrument and true channel of God’s graces to the world only through prayer, meditation and the cultivation of the Interior Life. When one is involved in works of spiritual or corporal charity, his work can only be efficacious when he anchors his Interior Life to in Christ. Without Christ we can do nothing. 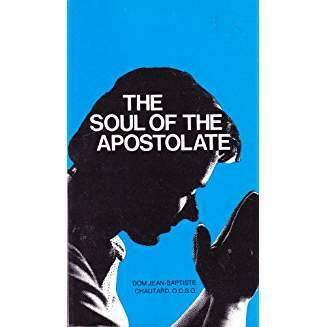 For anyone who would work for Our Lord and His Church there is simply no more important book to read and to follow than The Soul of the Apostolate.